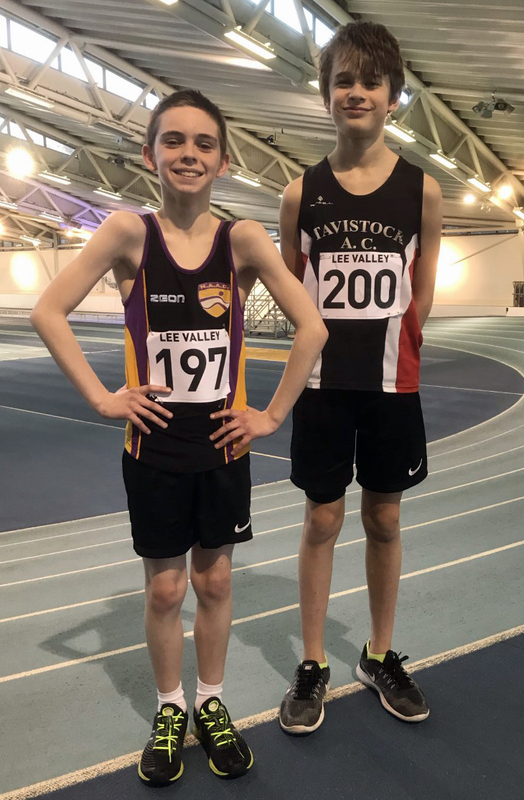 TAVISTOCK athlete Nicolas Maczugowski made a successful trip to London’s Lee Valley to compete in their under-13 and under-15 open pentathlon championships. Maczugowski claimed victory in the under-13 category with an impressive total of 1,510 points, which has moved him to the top of the early 2019 UK rankings. He also finds himself seventh in the shot rankings after throwing a new personal best of 8.33m. Maczugowski also claimed a PB in the 60m hurdles of 10.94 seconds and achieved season bests in the high jump (1.38m), long jump (4.07m) and 800m (2:38.60). He won the high jump by six centimetres. Second place overall went to North Ayrshire’s Dylan Gee, who scored 1,272 points having made the long trip from Scotland, with Corby’s Sam Lok third with 1,124 points. Meanwhile, Plymouth Harriers duo Steve Fletcher and Alex Peyton-Jones finished second and third in the Granite Way 20 Miler. The race was won by Christian Hewitt in 2:00.24, with Fletcher finishing in 2:03.47 and 2:06.50.